The Department of Mines, Minerals & Energy (DMME), Virginia, has reportedly appointed renewable energy consultant BVG Associates to help the state in designing strategies and reinforcing its position in gravitating offshore wind supply chain & service industry to the Commonwealth. BVG Associates, the UK-based clean energy specialist that has catered to hundreds of clients in the renewable industry will be working to build upon the state’s advantages and propose a plan that allows to further improve its maritime workforce and port assets. State Governor, Ralph Northam pertaining to the matter said that it is time for Virginia to take firm steps in ensuring its clean energy future. He further stated that he anticipates to work closely with BVG Associated towards the collective goal of establishing Virginia as the primary location for offshore wind industry. The DMME had issued an RFP (Request for Proposals) back in May 2018 looking for substantial offshore wind industry proficiency from someone who would help them in planning industry supply chain, development of several offshore wind supply chain sectors, requirements of port infrastructure and longstanding maritime service needs. BVG Associates, in this regard, plans to leverage its global and North American partners who possess extensive experience in offshore wind industry. 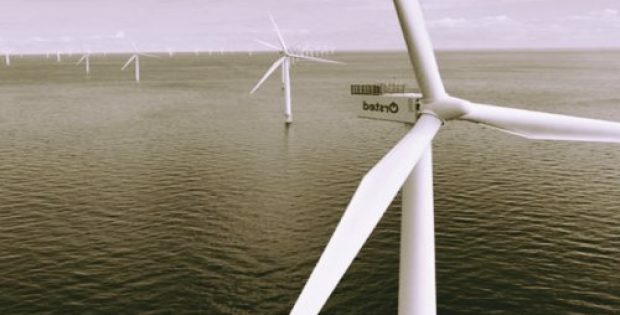 This list of partners reportedly includes names such as Timmons Group, Ramboll Group A/S, Business Network for Offshore Wind and Greentree Consulting LLC. BVG Associates Advisory Director, Andy Geissbuehler reportedly said that DMME’s leadership role supported by Virginia’s distinctive economic and operational advantage will enable the offshore wind industries not just in Virginia but all through the East Coast. He added that BVG Associates as well as its partners are looking forward to merge European experiences with U.S. expertise helping Virginia to plan and leverage its assets to find a prime location for the offshore supply chain & service industry. The state has also launched a website to bring awareness among industry prospects & asset holders regarding current and potential supply chain businesses, workforce and assets.